One of the essential plus challenging household routine tasks is upholstery cleaning. It is a vital job as it helps you maintain and improve the cleanliness of your property. Hiring professional and the best upholstery cleaner guarantees you cost-effective and efficient removal of dirt, stains, and debris in the upholstery fabric. Since there are many companies in Bakersfield providing the couch cleaning service mainly known as upholstery cleaning, it becomes difficult to choose the best one. 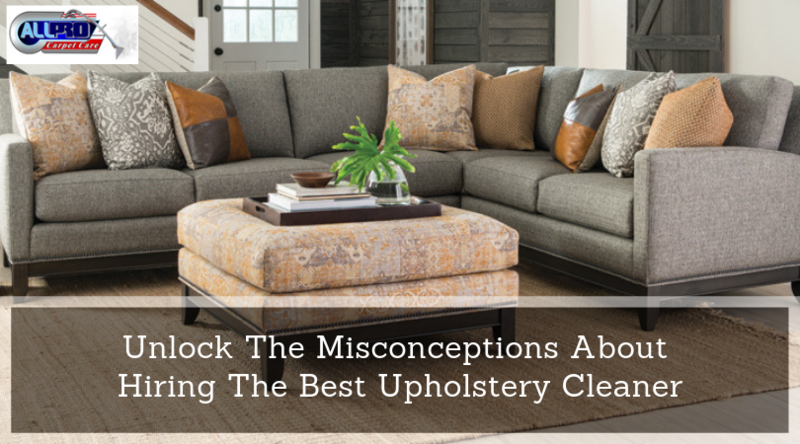 Therefore, many homeowners have misconceptions and convictions with hiring the upholstery cleaning. These myths might mislead you. So, it is better to have knowledge about it before it mislead you. Keeping this in mind, we have mentioned common misconceptions that every homeowner in Bakersfield come across. Consider it and get in touch with the reputable upholstery service provider. It is the common misconception among homeowners seeking for upholstery cleaning service. This is because most probably the issues arises like color bleeding, fabric shrinking or damage texture because of water based cleaning methods. On the other side, dry cleaning consist dry cleaning solvent which prevent color fading. So, depending on the issue they perform the methods for upholstery cleaning. Yes, you can say hot water usage reduces the implementation of hard alkaline based detergent products causing issues like color fading. But, without knowing the material and nature of the upholstery fabric dye they do not recommend it to use hot water. Therefore, it is best to use mild hot water to protect your upholstery fabric. This is the myth! Because the usage of high temperature cleaning can spoil the fabric and cause discoloration. It is the belief that synthetics they are easy to clean and prone to fiber distortions. But, you cannot say it causes no damage. Keep your upholstered furniture neat and clean hiring the best upholstery cleaner in Bakersfield. They will help you clear all the confusion related to upholstery cleaning. 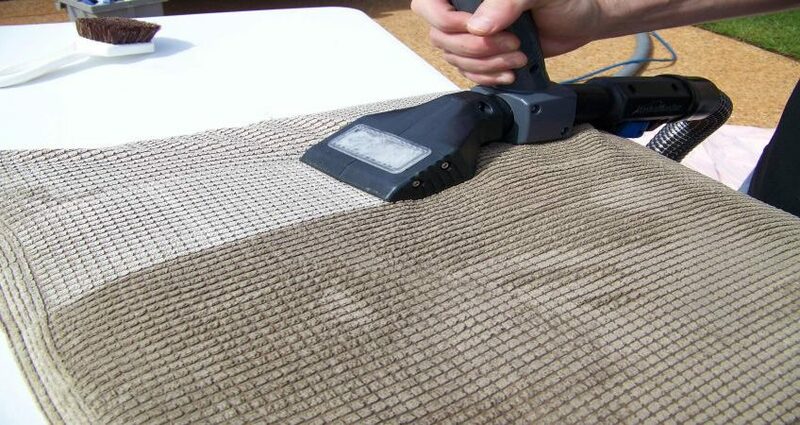 All Pro Carpet & Tile Care is one of the leading upholstery cleaning service providers in Bakersfield. Over the years, we strive to deliver exceptional cleaning services at a reasonable price. For more details, contact us at 661-747-4441. When your love seat, sofa, or recliner starts to look dingy, you might want to consider having your upholstery professionally cleaned. Before hiring professional upholstery cleaners you should consider few questions. So, what you need to check before going with the professionals? check for the type of soil on the upholstered furniture. If your upholstered furniture has grease, dirt, food and pet stains are treated in another way. Understanding the cause of the spot and soils will help your professional upholstery cleaners use the correct treatment with the best possible results. you should consider how the fabric of the upholstery is made. There are various types of fabrics used for furniture. There is polypropylene, cotton, polyester, micro-suede, rayon, olefin, velvet, nylon, linen to list a few. Understanding which upholstery fabric you have can mean the difference between success and disaster. You can find out what type of fabric is on your upholstery by checking the manufacturing tag, with cleaning instructions listed also stating what type of fabric it is. A professional upholstery cleaning technician will check the furniture before he starts cleaning or determining the cleaning method. Once he determines the fabric, according to that he uses the cleaning products and cleaning methods. To keep drying time to a minimum, we use powerful air movers to speed up the drying process. Opening the windows and turning on the ceiling fans is also a great idea to help the drying process on a nice sunny day. When you are ready to start shopping around for upholstery cleaning estimates. Be prepared with the type of soil that is on your furniture, learn and know what type of fabric your upholstery has. Ask them for the estimated drying time. Also, ask how long it takes to clean. A seven to six-foot sofa generally take approx. 30 to 40 minutes. If it is a sectional sofa it might take approx 45 minutes to an hour. If the cleaning is done too fast, it’s because the technician is not taking the time to do it right. That’s the reason you should know how professional upholstery cleaning could be beneficial. All-Pro Carpet Care has 10 years of upholstery cleaning experience. Our professionals are trained under the experts of the industry using the best and modern tools and methods. Our professionals are well-known for their friendly nature and satisfying cleaning results. When people in Bakersfield and surrounding areas are looking for professional upholstery cleaners, they come to All-Pro Carpet and Tile Care. We have customer satisfaction at the top of our priority list, and we strive to make sure you always receive the care you deserve. If in need of professional upholstery cleaners, call us to share your issues with us, we will definitely provide you with the best advice and cleaning service ever. Call us at 661-747-4441 or like us on Twitter, Facebook, Instagram, and LinkedIn to know more. When it comes to upholstery cleaning, so many people take it for granted. But, the reality is that upholstery cleaning is not a rocket science. You can maintain it well with some basic care. 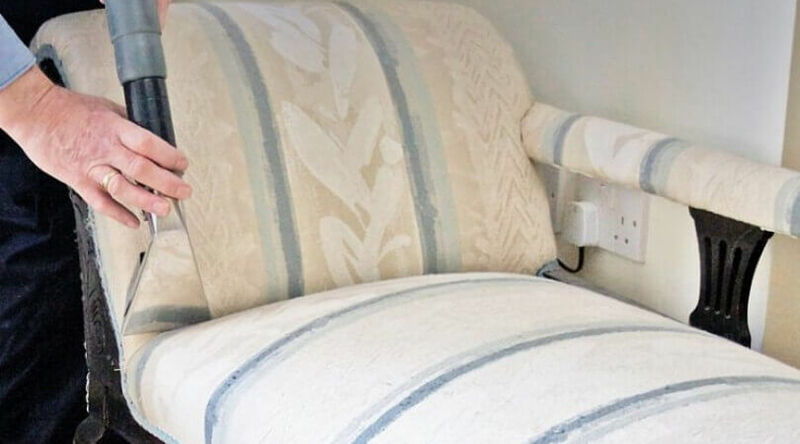 This blog is all about how can you take care of your upholstery. 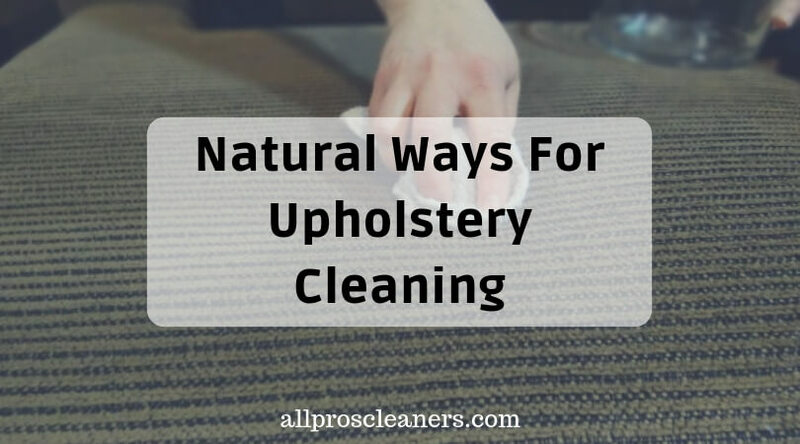 So just go through this blog and grab some natural ways for upholstery cleaning. Many people spend their time finding upholstery cleaning products. But, what if I tell you that you can find the same in your home? Yes, check the list of products which can give effective upholstery cleaning. A combination of detergent and warm water can help you to remove stains from your upholstery. Further, you can apply this liquid to the affected area before washing it entirely. I know you might be unaware of this quality of baby wipes. But, it’s true that you can use it for spot cleaning upholstery. Hence, it will not damage your upholstery material and there is also no fear of over saturating your furniture. All you need to do is take one spray bottle and pour some soda and add a few drops of essential oil. Then fill up the bottle with water and shake it well. Now your natural solution is ready and apply it on your upholstery to eliminate the odor and make it fresh. – Always use a vacuum to remove any kind of loose dirt and hair from your upholstery. – To avoid any big mistake, always pre-test your upholstery cleaning products on an unnoticeable area. – Avoid using much water for upholstery cleaning. Hence, moisture is not good for upholstery. If you are planning to buy a new upholstered furniture, it can be costly. Do you own a sofa, chair or some other type of furniture, which has upholstery, and it is in a good condition, but needs some cleaning. Then, these upholstery-cleaning tips will help you to save your money and lots of time roaming for new furniture. Mostly people will clean an existing piece of furniture and be very amazed at how incredible it looks. Considering that people and sometimes pets sit on furniture, it is no wonder it gets dirty. Even old furniture can benefit from a good cleaning. The solution for upholstered furniture is using the appropriate and best cleaning method for it. For instance, if you have a vintage chair that is hand embroidered then it would require a totally different cleaning technique than a sofa cleaning agent bought from a local supermarket. 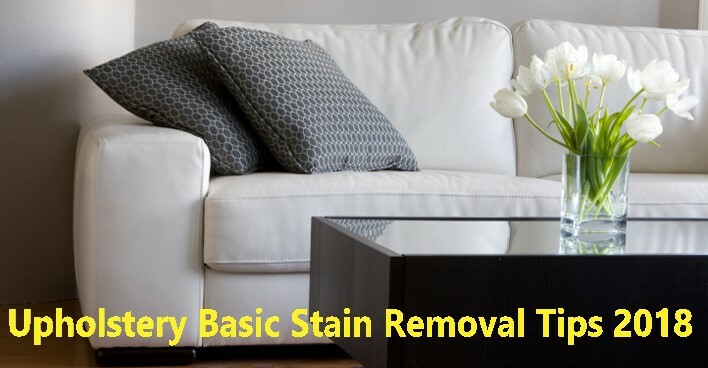 In this blog, we will go through various upholstery basic stain removal tips to make the job easy and valuable. Managing a clean home is a part of maintaining a happy home where everyone love living. Talking about furniture, upholstery is just one aspect but an important one. Just rethink people who all have eaten food sitting on the sofa and dropping bits of food or drink that brings stains. Then other possible way is the dirty feet, dirty cloths, and just regular wear and tear that can leave upholstery looking dirty. As in few time you are about to discover, getting those stains out, is very easy. The most important thing is to make sure you select the cleaning method according to the fabric. If you are unaware about it, check the manufacturer’s information. Before you start cleaning the stain, our experts recommend you to try it on a corner part of a rug, just to ensure that no discoloration is done. With that done, the following are a few of the more common stains found on upholstery and methods for removing them. Cheese is one of the food, which is very usually found spilled on the upholstery. Again, things like nachos a favorite snack food but they leave stains. Take one cup of warm water and add one teaspoon of mild, ph-balanced detergent. Grab a clean white towel and blot the cheese stains. Lastly, to remove detergent or ammonia, blot the stain with a clean water. Leave the area for some time to dry. Returning home from school or work, if you sat down with a pen in your pocket and before you know it, a stain is left. Ballpoints pens, especially the blue one, are common stain makers but as you will discover with this upholstery cleaning tips, they too come out. The solution is to be patient and persistent, as ink stain can be stubborn. However, make sure you only blot. Rubbing can make worse condition. Spray hairspray on a clean white towel and then dab at the stain, followed by blotting with a clean dry towel. Grab isopropyl-rubbing alcohol with a towel. Again, blot the ink stain, followed by a dry towel. Again, with a clean towel, apply acetone (nail polish remover). Blot the ink stain from the outside edges towards the center. Using a clean towel apply spirits of turpentine, blotting as with the other treatment options. Commercial products that work well on ink stains include carbona or Alfa. Use clean towel to dab the affected area. To know more important facts about upholstery check out previous blogs why should you prefer professional upholstery cleaning. Are you in search of professional upholstery cleaner? Then you are at the right place. Call All Pro Carpet & Tile Care and talk with our experts, they can guide you with the beneficial tips and help you with upholstery cleaning services. We provide commercial as well as residential professional upholstery cleaning in Bakersfield and nearby areas. We also provide a wide range of cleaning services like pet odor removal, Tile and grout cleaning, carpet cleaning, rug cleaning and power washing. Keeping your couch clean is a task and it requires more than regular vacuuming. While you need to consider the fabric of your couch when planning for cleaning, you also want to avoid mistakes to limit the risks of complicated repairs or replacing your furniture. If you love to have a couch at your home you also need to clean them properly to keep the allergens away from it. The furniture is processed through a chemical called as out-gassing before they leave the company or store. It may cause headaches, allergic reactions, and an unpleasant smell. Cleaning the couch allows you to avoid the discomfort during the initial weeks. It very unusual you sit on couch and watch movies on weekends, but always remember whether you accidentally spill wine, coffee, cold drinks spill on your couch or you have a cute cat who decides to pee on your carpet, you should hustle and take fastest steps possible to stop the fluid getting soaked into the couch. If you fail to remove the fluid from the upholstery it will get soaked and penetrate into the upholstery stuffing. If this case happens this situation will become more problematic for you, as you cannot neutralize the odors easily and may need to remove or replace the couch stuffing and will produce an unpleasant smell. It also becomes more difficult to clean if you do not clean it immediately because it soaks in deeper and spreads through the furniture. Couch covers a variety of materials. Actually, it depends on the type of material used to cover the upholstery furniture, the cleaning process may differ. You need to analyze the material to use proper cleaning liquid solution and proper cleaning technique. Proper care is to be taken for natural materials like leather, which may require replenishing the oil in the material after cleaning. Cleaning couch and their fabrics are a hellacious task and trust me not only about vacuuming your furniture and carpets. In few cases, you need to be knowledgeable about the materials and the cleaning liquids to keep your couch clean. When you have concerns about the process of cleaning your furniture or carpets, a professional may provide the assistance you need for your goals. To know more benefits and facts about couch cleaning follow us on Facebook, Twitter, Google+. To know more about our services click here. 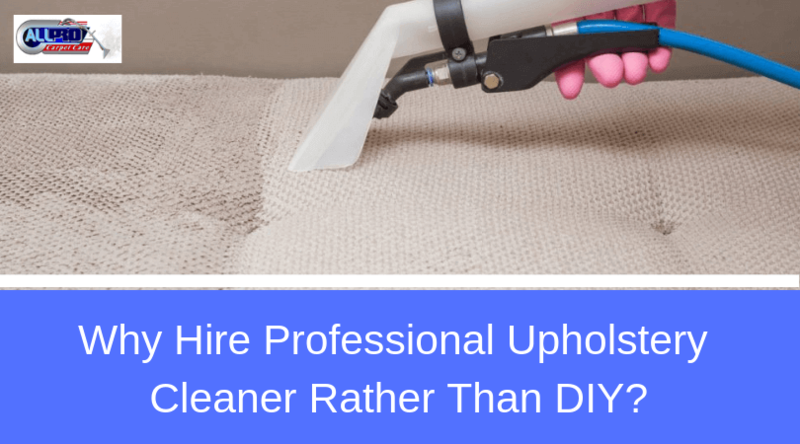 Why Hire Professional Upholstery Cleaner Rather Than DIY? - Commercial Carpet Cleaning Services in Bakersfield, CA - How to Get Rid of Pet Stain and Odors by All Pro Carpet & Tile Care - Are Power Washing and Pressure Washing Same? - 4 Question to be asked before hiring a Power Washing Company - How Often Your Office Needs Commercial Carpet Cleaning? 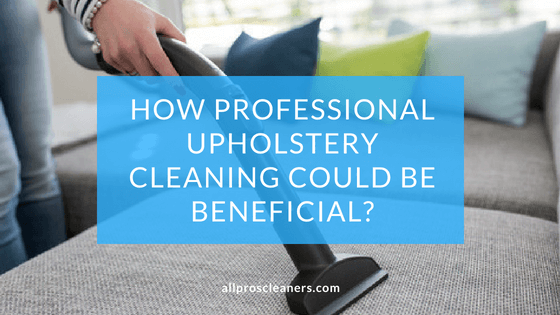 - Unlock The Misconceptions About Hiring The Best Upholstery Cleaner - How Can I Find Quality Upholstery Cleaning Services Near Me? - Choose Professional Carpet Cleaning Services To Bust Dust Pollutants - Now It’s Easy To Remove Pet Odor From Your Upholstery! - Remove Pet Odor Using These Effective Essential Oils - 4 Carpet Cleaning Secrets You Need To Know - Beware Of These Misconceptions About Tile and Grout Cleaning - Tile and Grout Cleaning - Best Way To Get Shiny Floors! - New Year Resolution: Choose The Best Tile Cleaning Services! - Does Vinegar Remove Urine Odor From The Carpet? - Looking For Affordable Pet Odor Removal Service Cost - 3 Major Reason to Hire a Professional Power Washing - Affordable Pet Odor Removal Service Cost in Bakersfield - Things To Know Prior Hiring Professional Upholstery Cleaners - Why We Need To Choose Professional Tile and Grout Cleaning Services? - How often your office needs commercial carpet cleaning - All Pro - Power Washing Services - 5 Tips to Help You Keep The Carpets Clean For Longer - Steps For Pet Stains And Odor Removal - Natural Ways For Upholstery Cleaning - How do We Remove Pet Odor From The Carpet? - Reasons of Using Re-grouting Services - Common Cleaning Mistakes You Need to Avoid! - Types of Rugs & Its Caring Tips - Which is Better Tiled Floors or Hardwood Floors? - How Professional Upholstery Cleaning Could be Beneficial? - Why Commercial Cleaning is Vital? - Merits of Professional Power Washing by All Pro - The Common Mistakes Made by Homeowners - Upholstery Basic Stain Removal Tips 2018 - Best Tile for Home Patio | All Pro Carpet & Tile Care - Benefits of Professional Pressure cleaning - All Pro Busting the Myths about Carpet Cleaning - How can you choose rugs for bedrooms? - Home Tips to Remove Oil Stains from Carpet - Simple Tip to remove coffee stains - Are you worried about pet odor in the car and your home? - Couch Cleaning Facts You are not Aware about - Advantages of professional rug cleaning - Home Tips for tile and grout cleaning - Safety Floor Cleaning Services - 10 Bad Cleaning Mistakes You Need to Break! - Do It Yourself Carpet Cleaning Methods - Reasons: You Should Prefer Professional Upholstery Cleaning - Power Washing, best for commercial areas - Top 6 Home tips for Carpet Maintenance - Power washing is best cleaning option?